To make a noun plural (more than one), we can add -s or -es to the end. Most words just add -s. This does not add another syllable. 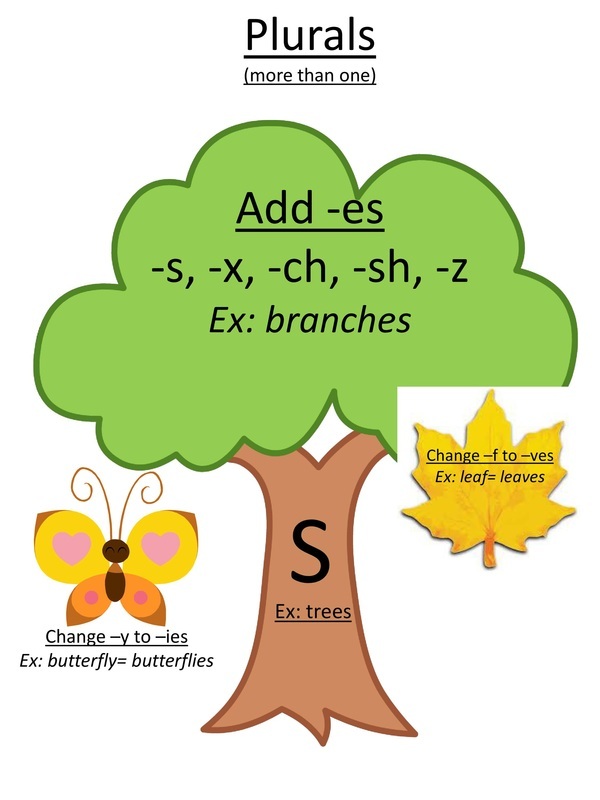 If a word ends with -S, -SH, -CH, -Z, or -X, you will need to add -es. This adds another syllable. 1.Wild animals find food in the mountains. ​2. She smiles as she fills the boxes up with toys.